1). Grind the items listed under "to grind" to a fine paste and keep aside. Clean, wash and chop the chicken to medium size pieces. 2). In a pressure cooker, add chicken, tomato, coriander powder, chillli powder, cinnamon, cloves, ginger garlic paste, cardamom powder and salt. Add 1/2 cup water and cook till the chicken is done. Switch off and let the pressure release by itself. Open the lid and mix together. 3). Heat oil in a wide pan, add fennel and saute till fragrant. Then add onions and saute till translucent. Add the cooked chicken to this masala. 4). Add the grounded paste and combine. Cook in a low flame till the raw smell goes from the grounded paste and the gravy reaches the desired consistency. Switch off and garnish with coriander leaves. 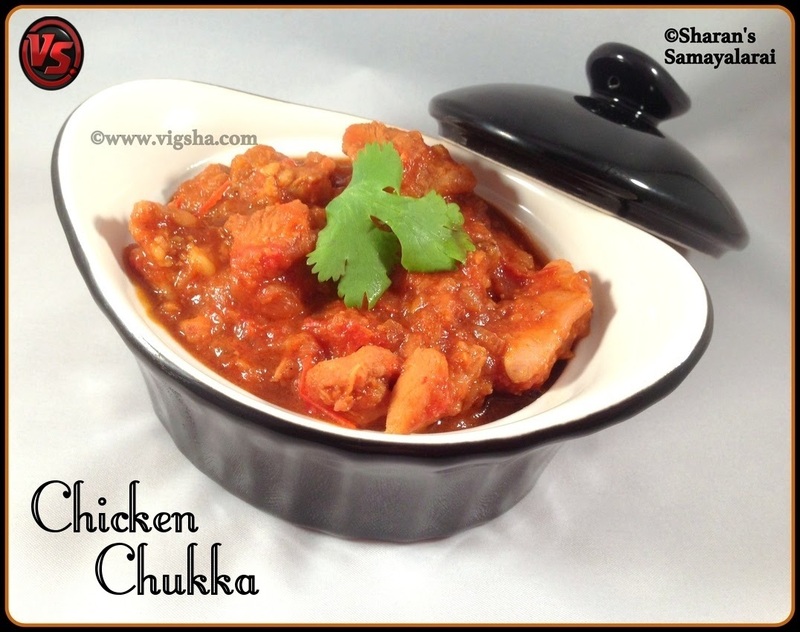 # This is a dry version, so do not add more water in the cooker as the chicken itself will leave water while cooking.